The Kalash (also known as the Kalasha) are an indigenous people living in what is today Pakistan. Although Pakistan is an Islamic Republic, with more than 95% of its population being adherents of Islam, the Kalash hold on to their own religious beliefs, along with their own identity, way of life, and language. The Kalash people are also noted for their fair skin and blue eyes, leading to a popular hypothesis that they were of Greek origin, specifically the descendants of Alexander the Great’s soldiers who followed him on his campaign in India. The Kalash can be found in the Chitral District, which is situated in the northwestern Pakistani region of Khyber Pakhtunkhwa. They live in three specific valleys in this area, Bumboret, Birir, and Rumbur. In an article from 2016, it was estimated that the Kalash community consists of about 3000 people, which makes them the smallest minority group of Pakistan. Nevertheless, this group is best-known for their unique and well-preserved culture, which has led to it being listed by UNESCO for consideration as an Intangible Cultural Heritage . As a matter of fact, this bid for recognition is an attempt by the Kalash to safeguard their culture. The unique nature of the Kalash culture has also allowed these people to turn to tourism as a source of income. Scholars, specifically sociologists, anthropologists and historians, as well as photographers, are particularly drawn to the Kalash, and many visit them each year. In the 1990s, for example, thousands of people visited the area annually, though these figures have dropped since 9/11. One aspect of the Kalash that fascinates these scholars and tourists is their origin. There are two major hypotheses regarding the ancestry of the Kalash. One is that they are the descendants of the Greek soldiers who followed Alexander the Great on his Indian campaign. This link between the Kalash and the Macedonian king is perhaps best seen in Rudyard Kipling’s well-known story, The Man Who Would be King , in which this supposed connection forms the basis of the tale. In 2014, geneticists looked into the claims and they found that the Kalash people do have portions of their DNA coming from ancient European populations. And when Kalash elders discuss their ancestors’ epics at festivals, they often mention a man they believe was one of Alexander’s generals, Shalakash, who they say settled in the region. Some scholars have suggested the name may refer to Seleucus Nicator , one of Alexander’s generals who did rule over the region after the Greek armies had departed. Furthermore, the names of Kalash deities also resembles Greek gods and goddesses and there are many words in the Kalash language (also called Kalasha) which resemble Greek words. But this language has no script to compare to Greek and the traditional Kalash stories are passed down orally. Alternatively, it has been hypothesized that the Kalash are of Indo-Aryan stock. A 2015 study suggested that the Kalash have genetic linkages to Paleolithic Siberian hunter-gatherers “and might represent an extremely drifted ancient northern Eurasian population that also contributed to European and Near Eastern ancestry.” This research did not support the idea that the Kalash people have any link to Alexander’s soldiers . There is also a belief among many Kalash people that their ancestors arrived in the region from an unknown land called Tsiyam, which may have existed in southeast Asia . But no one can say for certain where exactly it was located. When compared to their Muslim compatriots, the Kalash have a strikingly distinct lifestyle and culture. For example, the way Kalash women behave, and the rights they have, is quite different from the conservative Islamic outlook held by their neighbors. Kalash women are allowed to marry whomever they wish, to divorce their husbands, and even to elope. The Kalash are polytheistic and continue to practice their ancient pagan religion. In Kipling’s The Man Who Would be King , the Kalash who held onto their ancient ways were referred to as the ‘black kafirs’, a term Kalash people dislike, whereas their neighbors, i.e. the Kalash who were brutally converted to Islam by a campaign of the Afghani ruler Abdur Rahman Khan at the end of the 19th century, were known as the ‘red kafirs’. They became known as the Nuristanis (meaning ‘enlightened ones’) following their conversion. Indeed, conversion to Islam has become one of the issues afflicting the Kalash people today. There is pressure, both direct and indirect, to convert the Kalash to Islam. The former, for instance, involves extremists who prey on the weak, and create internal division between the Kalash, whilst the latter involves the promise for better treatment and services for converts. At times, this issue even erupts in violence. In 2016, for example, it was reported that clashes broke out due to a row over a teenage girl’s conversion to Islam and since then, Pakistani authorities have banned Tablighi (a Sunni Islam missionary movement) from entering the valley where the violence occurred. However, a report on the Kalash people on Radio Free Europe/Radio Liberty shows that missionary work continues in other ways, such as through converted Kalash people encouraging family members to follow their lead and the lack of education discussing Kalash culture, language, and history in schools; though Kalash children are taught about Islamic theology and Koranic scripture alongside their Muslim peers. Derawar Fort: What Remains from a Once Thriving Desert Civilization? Yet another perceived threat to the Kalash culture is modernization. Local people have mentioned that many of the educated Kalash young women have converted to Islam and married outside the community. Young people sometimes move to a city to seek work and due to the temptation of modernity and technology. There are fears that these moves lead to abandonment of their culture. Nonetheless, while modernization generally kills traditional cultures, it has been indicated by some that it is doing the opposite to this particular culture. By having contact with the outside world, for instance, the Kalash are teaching others about their culture. The pride that the Kalash have in their way of life, as well as their awareness of its remarkable nature would undoubtedly go far in their efforts to preserve it for future generations.
" the Chitral District was a fully independent monarchy until 1885"
"The ruling family of Chitral is the Kator dynasty, founded by Muhtaram Shah Kator (c. 1700-1720), which governed Chitral until 1969, when the government of Pakistan took over." -	Baba Ayub Mirza who was also a disciple of the saint Kamal Shah Shams ud-din Tabrizi. -	Shah Abu'l Ghazi Sultan Mirza Husayn Bayqarah = the great grandson of Emperor Timurlane. Baba Ayub Mirza arrived in Chitral and married the daughter of the ruler Shah Raees, a supposed descendant of Alexander the Great. The grandson of this marriage founded the present Katoor dynasty. " "... Kalash religion is similar to the religion that was practiced by Rigvedic aryans. " "In the 1970s there were a number of forced conversions. However, during the last two decades, protection by the Pakistani government has seen the Kalash double in number." "A study by Hellenthal et al. (2014) on the DNA of the Kalash people showed evidence of input from modern day Germany and Austria between 990 and 210 BC, a period that overlaps with that of Alexander the Great." A decade ago, there were 15,000 non-Muslim ethnic Kalasha in the three valleys of Bumborate, Rumbur and Birir. Now there are just 4,000. One of the major reasons for the dwindling of this community is love. Young Kalash women fall for non-Kalash men. When the couple marries, the woman typically converts to Islam and adopts the non-Kalash culture. 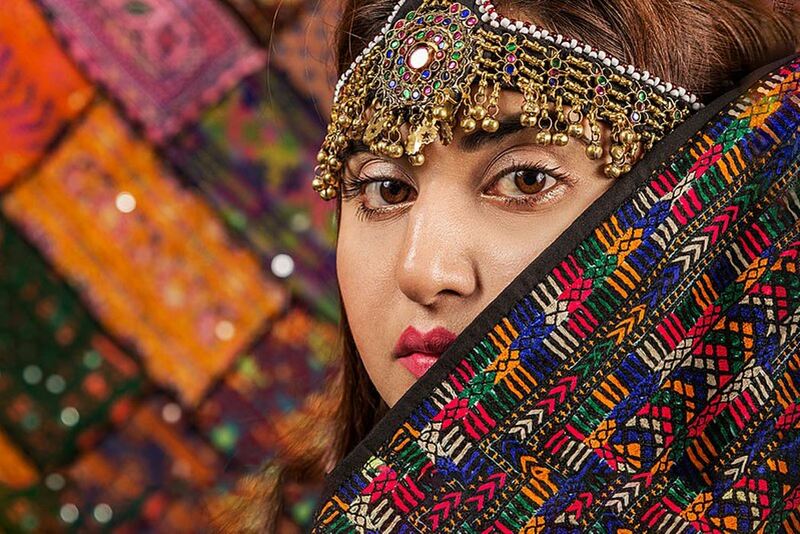 Huma Saeed, 16, a resident of Anizh, says that love is one of the main causes encouraging young Kalasha girls to say adieu to their families and the centuries-old Kalash religion. Two of her aunts became Muslim the same way. However, she still feels that there should be no restriction on women marrying whom they choose. The trend of entire families converting to Islam is more painful to the Kalasha than simply one or two people converting, even though conversions often tend to create rifts within families, especially if only one or two members have left the Kalash religion. Wazir said if a member of a Kalash family becomes Muslim, they have to leave their home because the differences between Islamic traditions and Kalash rituals makes it very difficult to live under one roof. "The Taliban's 50-minute long video released on February 2 on their media wing's website opens with a scenic view of the mountainous valley that is popular among domestic tourists and famed for its annual polo festival. The narrator warns the Kalash, who are thought to number only 3,500, to convert to Islam or face death. “By the grace of Allah, an increasing number of people from the Kalash tribe are embracing Islam and we want to make it clear to the Kalash tribe that they will be eliminated along with their protectors, the Western agents if they don't embrace Islam,” he says. The video also accuses international NGOs of creating an “Israel” like state in Chitral by attempting to protect the Kalash culture and take people away from Islam, and vows to foil their plans. A charitable organisation headed by the Aga Khan, the Ismailis' spiritual leader and a globally renowned philanthropist, is singled out for condemnation." I am Hassan Mujtaba from Pakistan. Islam is not the religion of extremists even the prophet of Muslims (Muhammad PBUH) forgave his enemies. 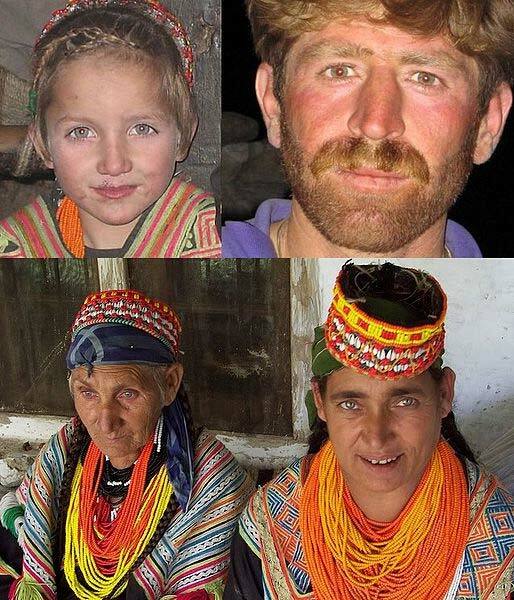 Pakistanis are not threatening the Kalash people to convert to Islam (it is just propaganda against Pakistan and Islam. No. of people joining Islam is increasing day by day in the world so, one can not say that they are being forced to convert to Islam. these are the teachings of Islam which persuade people to become the member of Islam by their own willingness not by coercion. The Kalash are G haplogroup, DNA. The G group is not Alexandrian. Kalash seem to have strikingly similar culture compared to Armenians living in Armenia. Their carving of eternal wheel can be seen in Armenian carvings dating back 5000 years ago.